RÖHRIGgranit® is committed to innovation and closeness to the market. Many of our ideas have their origin in the interchange of ideas with our customers. For them, we adapt products or develop individual formulations that are tailor-made for specific applications. In our application technology department, we reproduce color nuances, or realize specific special grain sizes. At the same time, we develop our own processes and products as new trends emerge. For this purpose, we refine our raw materials, and experiment with different combinations of materials. 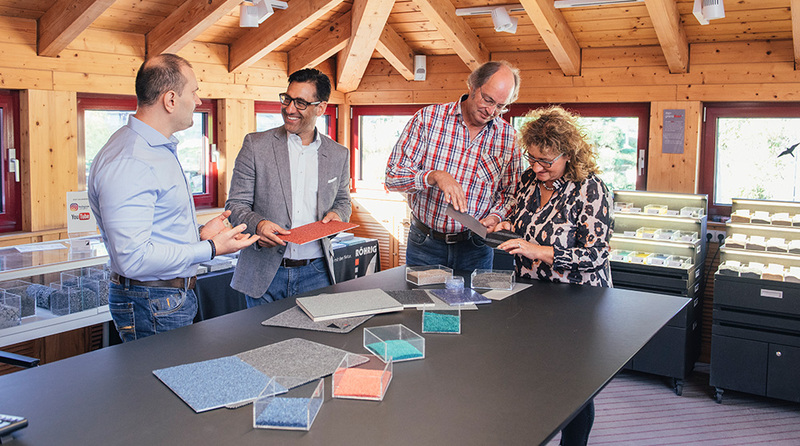 Research and development is one of the most important factors of success for RÖHRIGgranit®. In our laboratory, we create new products and test them before they are launched on the market. Our goal is the careful, economical use of granite as a resource. At the same time, we want to show our customers new possibilities to vary and further develop products through the use of hard rock. Together with our customers, we develop specific formulations that often take several years to reach readiness for production. Product innovations are often developed in our own laboratory and pilot plant with the support of universities of different disciplines. With granoline®, we dispose of our own multi-purpose product family, which we are continuously expanding and adapting to changing market requirements. With granoline®, surfaces become a haptic and optical experience. 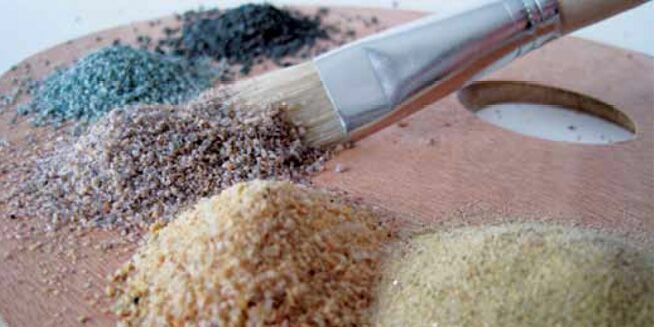 Our newest member of the family is granocoat®, a mineral product coated with high-quality color pigments, which is produced by complex processes, and is available in various grain sizes.